Thanks to Sri Guruvayurappan to share this article. 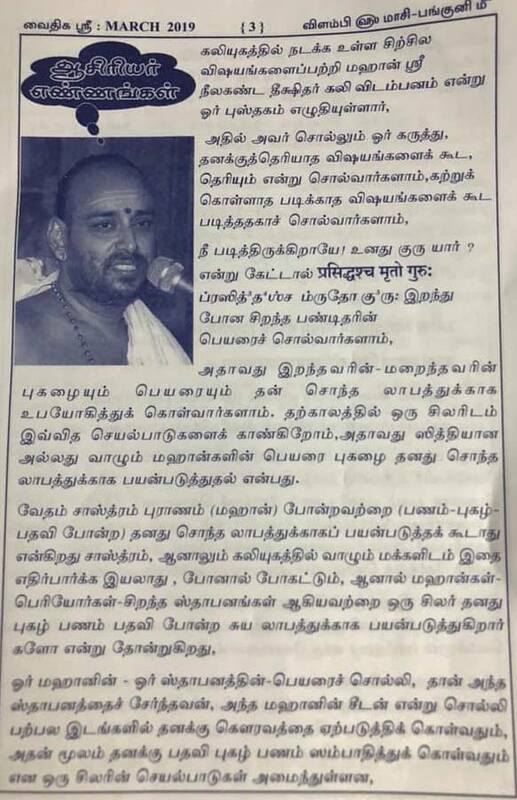 the article conveys a great message – important for all of us on how carefully we need to be while handling Mahaperiyava or any Mahan’s names. Article says that using any Mahan’s names for personal gain is a great sin. I don’t know if it is addressed based on any specific incidents. Regarless, it is a great reminder on how careful we all should be in dealing with the aspect of Mahaperiyava. 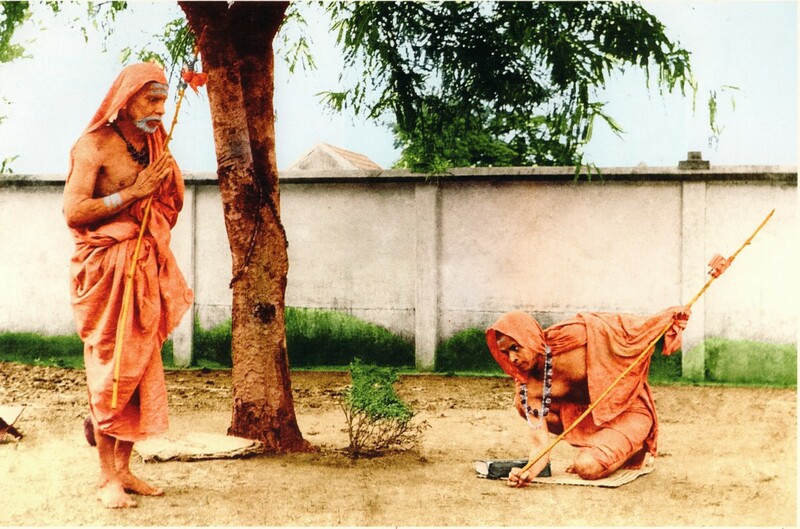 We all know that with social media, there are so many forms of business that runs around the name “Mahaperiyava” – many in the pure services mindset and some are for personal gains – if not for materialistic purpose at least for ego-boosting purpose. I do like the way how he ended the write-up. Let us all take this as a checkpoint on what we are doing and correct ourselves in case if we accidentally did anything wrong. 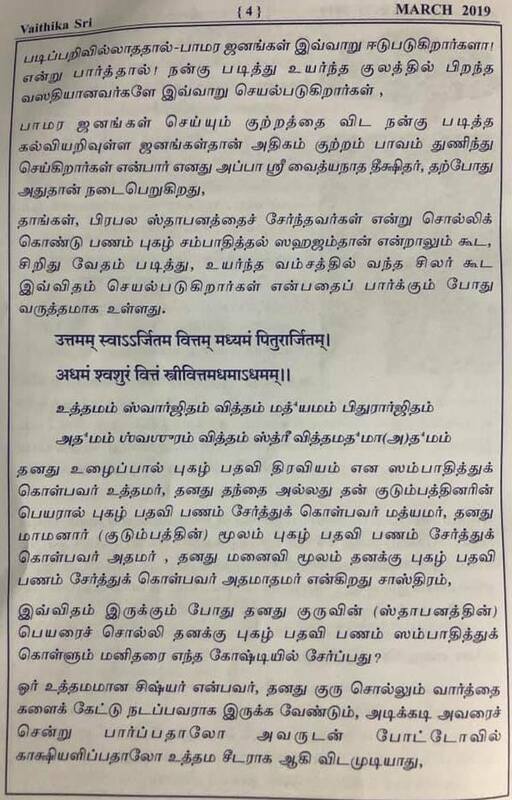 The editor for this magazine is Nannilam Brahmasri Rajagopala Ghanapadigal. I have given the video of him talking about Mahaperiyava – don’t miss! I have seen people like Sri S Gurumoorthy [https://twitter.com/sgurumurthy] @Janamejayan using Sri Mahaaperiyavaa and Sri Ramana Maharishi’s photographs in their profile pics. I even wrote to them saying it is wrong — while SG ignored it, Janamejayan blocked me. One of the reasons we should not use others’ pics to represent us in public forums is — there may be times when we use harsh words against each other. 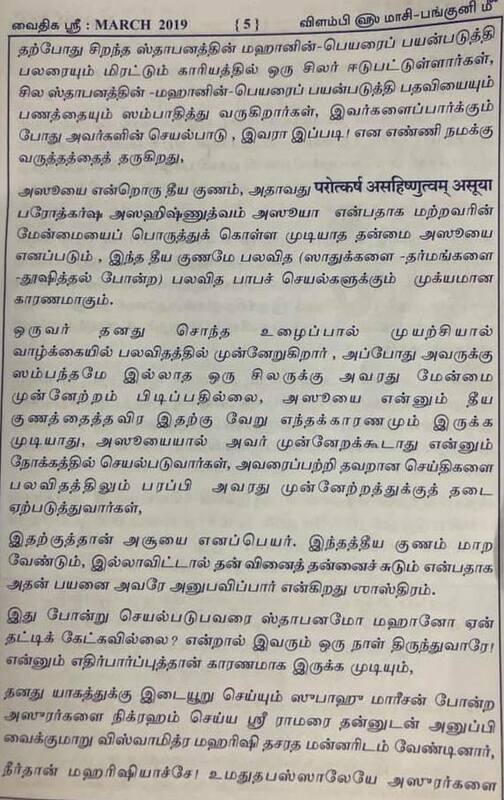 For e.g., if I were to use Sri Mahaaperiyavaa’s pic on Twitter, there are times when people abuse me for my views, which I may choose to ignore or reply. However, in a way, those abuses get deflected to my profile picture. If it is mine, it is fine. But if it belongs to somebody else, then I am causing unnecessary hurt to it which should be done without. Thank you for this highly informative and useful article in our day-to-day life. 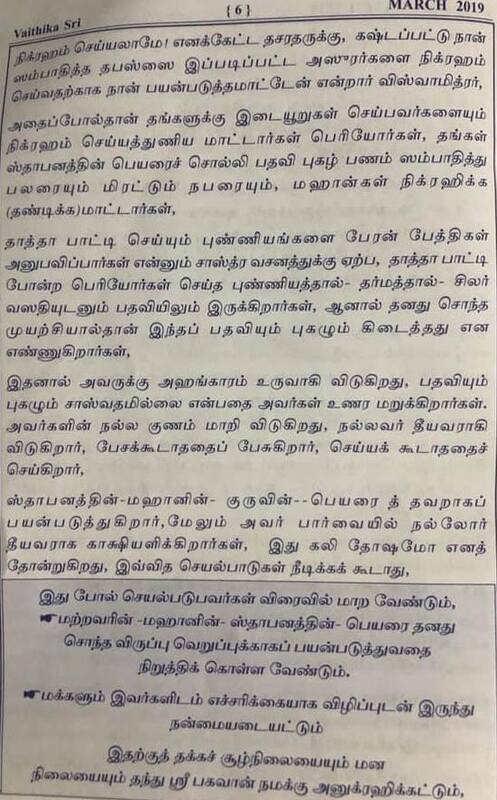 iT IS REGRETABLE people in sixties whom might not have opportunity to proximity to Mahaswamigal have started to give speeches on Mahaswmigal, copying from other sources. It is true that Brahmasri Sri Koteswara Rao doesn’t take money for his Pravachans and never demand for high tech lodging facilities, first class tkts, etc. Very down to earth man. He never misses Maha Periva name in any of his Pravachans some or other way he recollects his name or incidents.